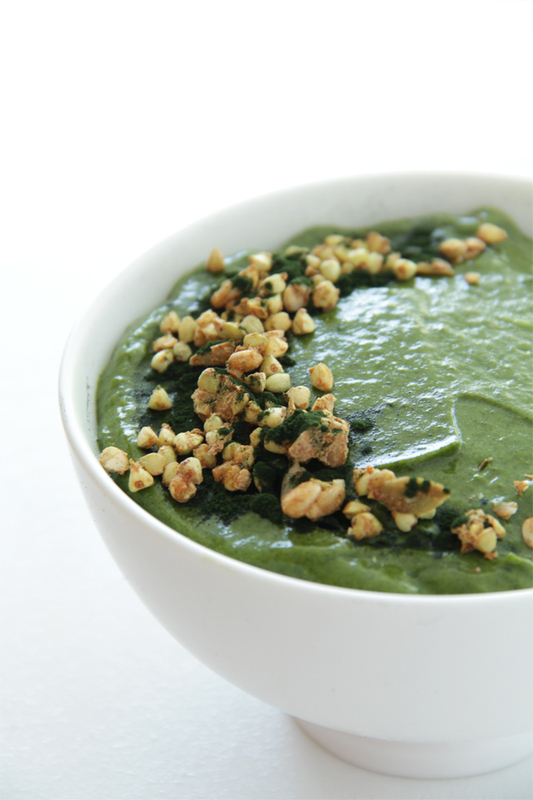 SMOOTHIE IN A BOWL – WORTH THE HYPE? Not sure if you have noticed, but smoothie bowls have flooded Instagram! Every other day I come across someone’s photo with their variation of this trendy colourful bowl packed with so-called superfood. So is worth the hype? First, let’s put things in perspective. Eating a smoothie bowl is far better for you than eating something bought in a box, highly processed, stripped of nutrients, covered in sugar and then fortified with artificially made vitamins. It’s also better than starting the day with a few slices of white toast or a breakfast sandwich from an iconic coffee shop (we won’t name – names). As promoters of healthy plant based living, we cringe nearly every time we scroll through Instagram and see a picture of an elaborate smoothie bowl. On one hand yes, we love anything that promotes eating more fruit and vegetables. But when we see a gigantic bowl filled to the top with countless different types of fruit and then topped with nuts, peanut butter, granola, seeds, and some more fruit, we start to seriously doubt how healthy this pretty looking thing really is. We are not against smoothie bowls — we actually really enjoy them. But we believe that less is often more and balance is the key. If you combine a moderate amount of fruit together with green leafy veggies and choose a simple topping of fresh fruit or home made granola you will end up with a quick and nutritious meal, perfect for breakfast or as a snack. 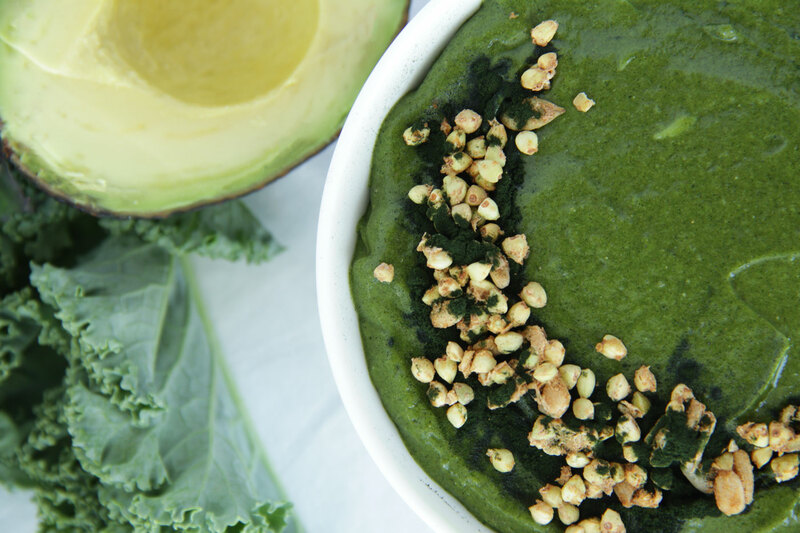 This Hulk Smoothie Bowl is an example of a well rounded recipe for you to try! Spirulina is said to be a superfood – plant that can nourish your body by providing most of the protein you need to live, help prevent the annoying sniffling and sneezing of allergies, reinforce your immune system, help you control high blood pressure and cholesterol, and help protect you from cancer. Spirulina is a form of blue-green algae that springs from warm, fresh water bodies. It is often confused with chlorella, but the fundamental difference between the two is that spirulina is many thousands of years older and does not possess the hard cell wall that makes chlorella closer to being a plant than algae. Spirulina has been found in studies to also successfully treat a wide range of ailments, including arsenic poisoning, candida overgrowth, and hay fever. Cool fact is that this algae is being seriously discussed as a sustainable source of food with the potential to end world hunger – unlike most plants, it is a survivor, able to withstand extreme temperature variations and neglect and still thrive. Definitely worth exploring! 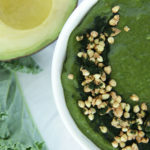 Add all smoothie ingredients to a high speed blender and blend until creamy and smooth. Add more almond milk (or water) to thin. Place smoothie in a medium bowl. 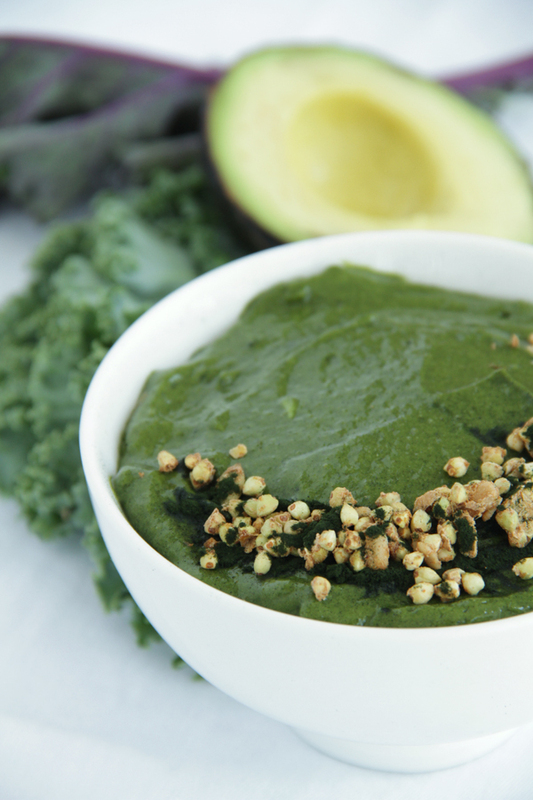 Top with spirulina powder and sprouted granola, serve immediately.